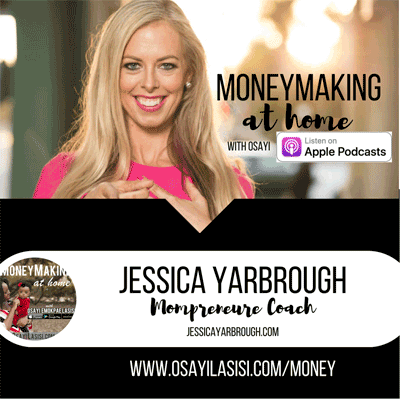 Jessica Yarbrough, The Mompreneur Coach, is a successful entrepreneur, marketing strategist, and business coach. She is also the creator of the 6 Figure Mama, a coaching program designed to support women in launching their dream business. Her expertise includes being an accomplished branding, strategy, and digital marketing expert. She brings more than a decade of marketing experience to her coaching programs. Her achievements include starting her own successful marketing consulting agency, building multiple start-ups worldwide, and supporting entrepreneurs to launch their own products and services. As a single mother, her mission is to support moms with the tools, tactics, and resources to build a 6 figure business they can run from home. Jessica holds a B.A. in International Business and Marketing from San Diego State University. She has lived on three continents and currently resides in San Diego, California with her daughter. How to quadruple your coaching/consulting income without going crazy! Becoming a magnet to attract clients that resonate with you and your message.